The novelist Jung Yun moved to Amherst to attend graduate school at the University of Massachusetts, then stayed 12 years and wrote her critically acclaimed first novel there, “Shelter.” Massachusetts can’t claim the writer anymore. Yun headed south this summer to teach at George Washington University, but we can still claim the book, which comes out in paperback next month. BOOKS: How did you become an avid reader? YUN: I moved with my family from South Korea to Fargo when I was four. We were latchkey kids so we spent a lot of time at the school library. The librarians would feed me books. I quickly went through the children’s side. By second grade, the librarians started giving me Louisa May Alcott’s “Little Women.” I became a voracious reader. Then at Vassar I took a freshman seminar in which we read books by James Baldwin and Maxine Hong Kingston. That was the beginning of the world spinning in a faster direction for me. It was stage two of my reading life. BOOKS: Do you read mostly fiction for yourself? YUN: I tend to read a lot of contemporary fiction by writers of color. I spent the first half of my life reading the canon. Now I don’t have to. BOOKS: Do you wish any of those writers were better known? 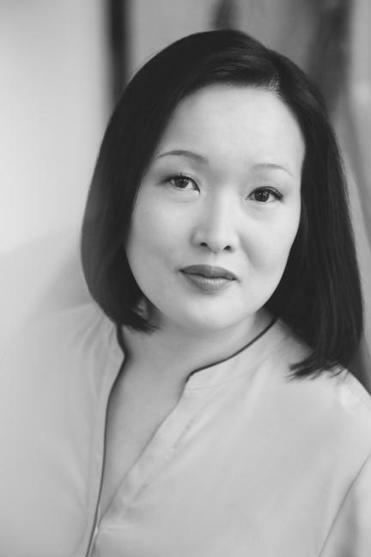 YUN: Katie Kitamura, who wrote “The Longshot.” She has a new book, “A Separation.” She’s got a beautiful writing style and writes about subjects that are kind of unexpected. “The Longshot” is about a down-on-his-luck martial arts fighter. It’s so improbable that I would love a book about mixed martial arts fighting. That’s the beauty of that novel. BOOKS: Do you have a favorite Styron novel? YUN: “Sophie’s Choice.” That convinced me that I wanted to leave New York City and figure out how to be a storyteller. I read it on the “Love Boat” [the cruise ship that appeared in the TV show]. It went from Boston to Bermuda and back. It was a surreal experience, only four days after 9/11. I brought a big suitcase of books. I had a few slim volumes of poetry. I’m pretty certain I would have brought John Cheever and Richard Yates too. BOOKS: Has there been any other time when you bolstered yourself with books? YUN: When I was moving to Amherst for grad school, my New York City apartment sold much faster than I expected. So I quit my job earlier than I had planned and moved to Costa Rica where I just read whatever I could get my hands on. I read Voltaire’s “Candide.” I reread F. Scott Fitzgerald’s “The Great Gatsby,” and Daniel Defoe’s “Robinson Crusoe.” I would pick up whatever was in decent condition at a used bookstore and walk out with a bag of books for the equivalent of $2. BOOKS: What was your last best read? YUN: I was asked to blurb “Everything Belongs to Us” by Yoojin Grace Wuertz. I read it just to be a good literary citizen and then the book was a knockout. It’s about South Korea in 1978 and the protests that year. She really captured the panic and fear of what goes on during a protest.